Choosing a listing price can be challenging for homeowners. They have to identify comparable properties that have recently sold, and decide which features make their home more valuable or less valuable than those identified. This requires knowing recent trends and looking at the properties with an impartial view. 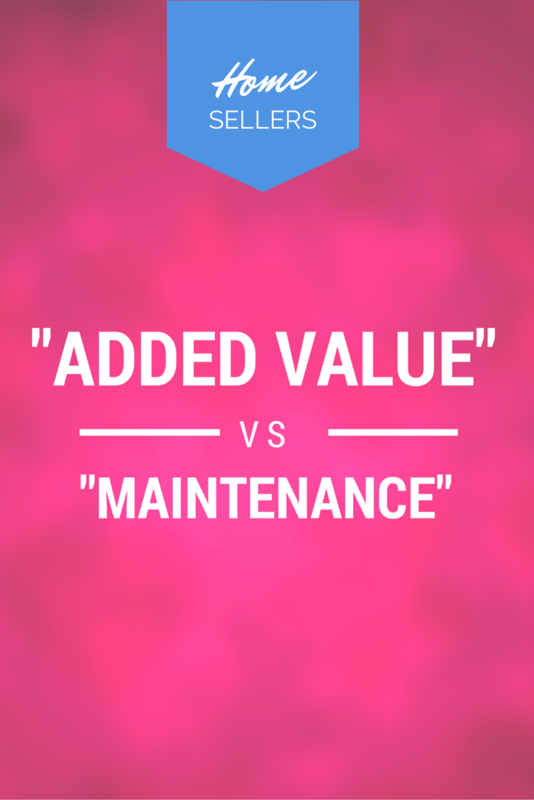 Probably one of the most difficult aspects of this task is identifying which investments are just maintenance and which add value to the home. Every home has the same basic systems (plumbing, electrical, and air conditioning/heating) and features (roof, kitchen appliances, and floors/walls). Replacing or repairing any of these during the course of owning a home is considered maintenance. Some sellers think if they put a few thousand dollars into their home that should be tacked onto the selling price. As nice as it would be to get back every dollar put into a home, it just isn’t possible. However, a well maintained home will usually get sold more quickly and for a higher price than one that hasn’t. To add value to a home (and potentially raise the listing price), a homeowner needs to add new features and/or upgrade current ones to those that are trendy or more useful. The trick to this is knowing what sellers are looking for. Homeowners also shouldn’t renovate “out of their community”, meaning they shouldn’t add enhancements that wouldn’t be found in other homes in the community. An owner will never get back their investment if they install luxury features in a mid-range home or mid-range features in a low-range home, because buyers want to live in communities that match the home they’re purchasing. If you’re considering renovating your Wilmington area home and aren’t sure which upgrades will be the most cost effective, give us a call at 910.202.2546. We can take a look at other recently sold homes and draw from our selling experience to help you get the most bang for your buck.